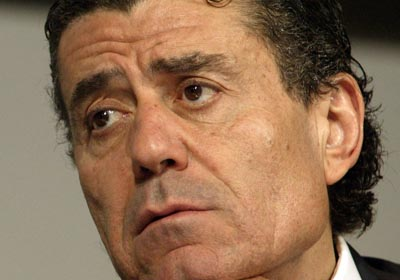 Haim Saban, a worldwide pioneer and leader in the entertainment industry, is the Chairman and Chief Executive Officer of Saban Capital Group, Inc. ("SCG"). A native of Alexandria, Egypt, Mr. Saban immigrated to Israel at the age of 12 where he attended agricultural school and served in the Israeli Defense Force. While in Israel, he built the country's premier tour promotion business. Mr. Saban's foray into television began in 1988, when he formed Saban Entertainment, an international television, production, distribution and merchandising company. The company produced several major hits, including The X-Men™ and numerous other shows and products developed around Marvel Comics characters. Perhaps most notably, under Mr. Saban's guidance, the organization introduced to the U.S. the Mighty Morphin Power Rangers™ — a global phenomenon that to this day is one of the top selling boys' toy brands in the United States. In 1995, Mr. Saban merged his company with Rupert Murdoch's Fox Kids Network, creating a fully-integrated entertainment company that combined Saban Entertainment's content and merchandising strength with Fox Broadcasting's network distribution. In 2003, SCG led a group of investors that acquired a controlling stake in ProSiebenSat.1 Media, Germany's largest broadcasting group. Mr. Saban served as ProSiebenSat.1's Chairman of the Supervisory Board. SCG sold the group's controlling stake in the company in 2007 to private equity firms KKR and Permira. In 2005, SCG teamed with Apax Partners and Arkin Communications to acquire a controlling stake in Bezeq The Israel Telecommunication Corp., Ltd., as part of the government's privatization of the company. Mr. Saban's passionate devotion to the philanthropic and political arenas reflects both his wide breadth of interests and his commitment to a strong relationship between the United States and Israel. Mr. Saban and his wife Cheryl started the Saban Family Foundation in 1999, which supports medical, children's and education programs, including the Children's Hospital of Los Angeles, Soroka Children's Hospital in Israel, the John Wayne Cancer Institute, the Motion Picture and Television Fund, the Friends of the Israel Defense Forces, American Israel Education Foundation, William Jefferson Clinton Foundation, and the United Friends of the Children. The Saban Family is on BusinessWeek's list of the 50 most generous philanthropists in the US. Friends of The Israel Defense Forces Initiates and helps support educational, social, cultural, and recreational programs & facilities for the young men and women soldiers of Israel who defend the Jewish homeland.